Now you may think oh Mel is always banging on about the coffee they have to be no way she loves tea just as much... well actually I love them both and it depends on my mood on which one I have and also it depends on the time of day too. When it comes to tea I am usually quite simple and usually just have a Tetley tea with milk and sugar and I rarely try any other flavours let alone any loose tea. 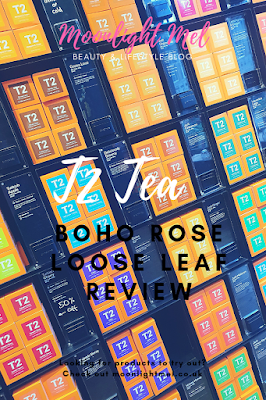 I decided recently to challenge myself to give loose tea a try so I went to my local T2 Tea which is located on Buchanan Street, just a few shops down from Frasers. 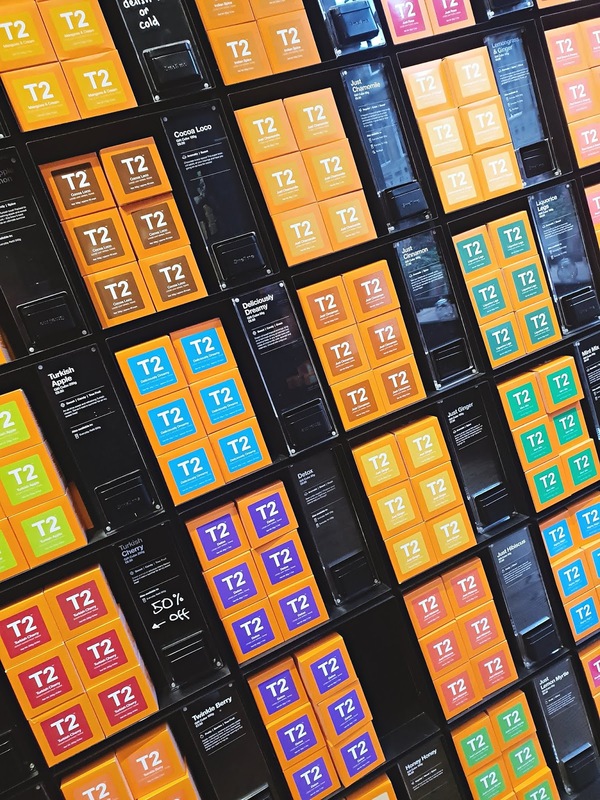 T2 has so many colourful boxes of different flavoured teas all over the store, it is like a tea fans dream. As soon as we went into the store you can see many different flavours of tea. The good thing about the display is you can see the names of the tea and also a description of what they taste like too. Not only do they sell an amazing variety of different tea flavours but they also sell many different tea accessories too such as the teapots, cups and also loose tea strainers. All of them stand out and are vibrant. I must get a loose teapot soon that's for sure. Choosing which tea to buy first was hard because all of the flavours sound amazing. I tried a few different teas but it wasn't hard to choose which one to try first... it had to be the limited edition Boho Rose. 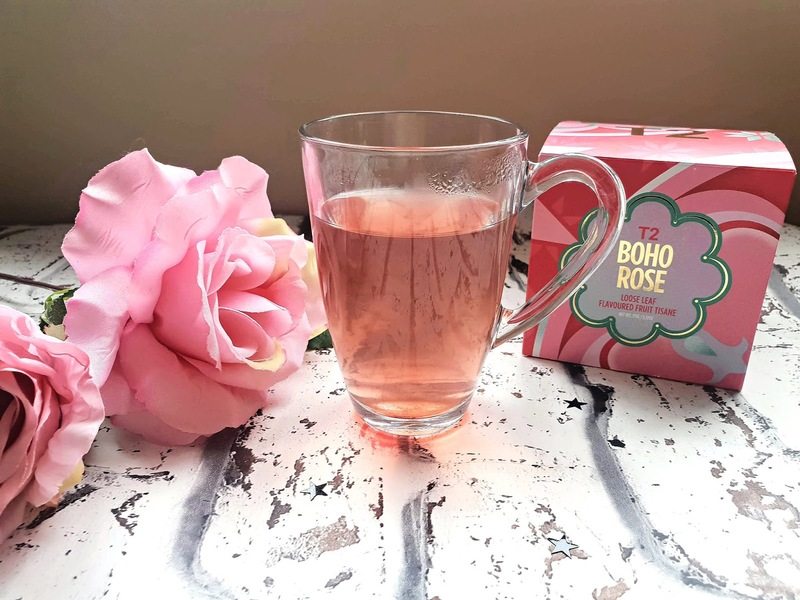 Now Boho rose is basically a refreshing tea that tastes like Turkish delight from Istanbul with a lovely pistachio nutty taste to it. The box gives you simple instructions on how much loose tea you need to brew and also for how long you need to brew it as well. I bought a small teapot that basically your pour hot water in and inside it has a tea strainer that infuses the loose leaf into the hot water. It takes up to 7 minutes to infuse but less than that if you prefer a less stronger tea. Once the tea has infused its ready to pour and enjoy. I personally find it sweet enough on its own but for some, it's nice to have a little sugar, honey or agave nectar. It becomes a lovely rose colour once you pour it as you can see from the photos. The aroma of the tea is very floral and sweet with the rose with an edge of nuttiness, it really is just divine. This tea does taste delicious hot but I am sure it would also taste amazing iced too, it all just depends on your preference on how you like your tea. The actual box contains 175g of product and each cup takes 5g of product so that means each cube contains roughly 35 cups of tea. I think that the price tag of £15 is very reasonable as it tastes so nice and the price per cup costs around 43p per cup which is a lot cheaper than going to Starbucks or Costa. Overall I am very impressed with this tea and 100% buy it again. It has a very nice taste and its nice to have a change every now and again so this tea is a nice treat. They also have a tea society in which you can join to save 10% off your first order and also lots of other benefits including pressies and freebies. T2 can be bought online and can also be found in stores around the UK and also around the world too. More info can be found on their website. 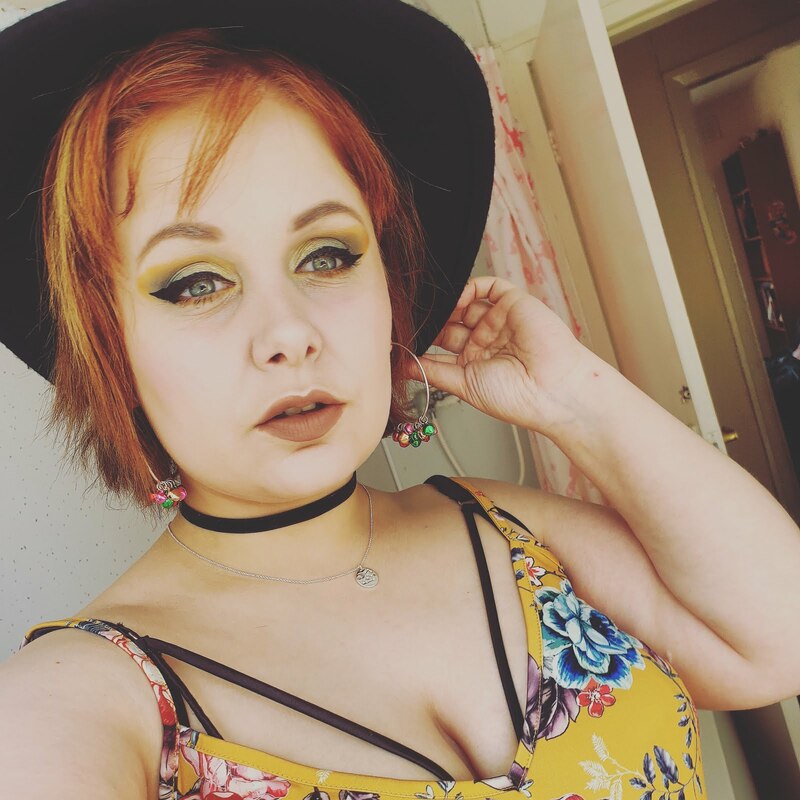 I'm usually a coffee drinker but have swapped to tea as I'm getting a lot of headaches since having the baby and this change seems to be helping. This variety sounds delicious! I probably would have chosen this one too. The packaging is adorable & the price is very reasonable too. I've popped into one of their stores before. They have soooo many teas to choose from. 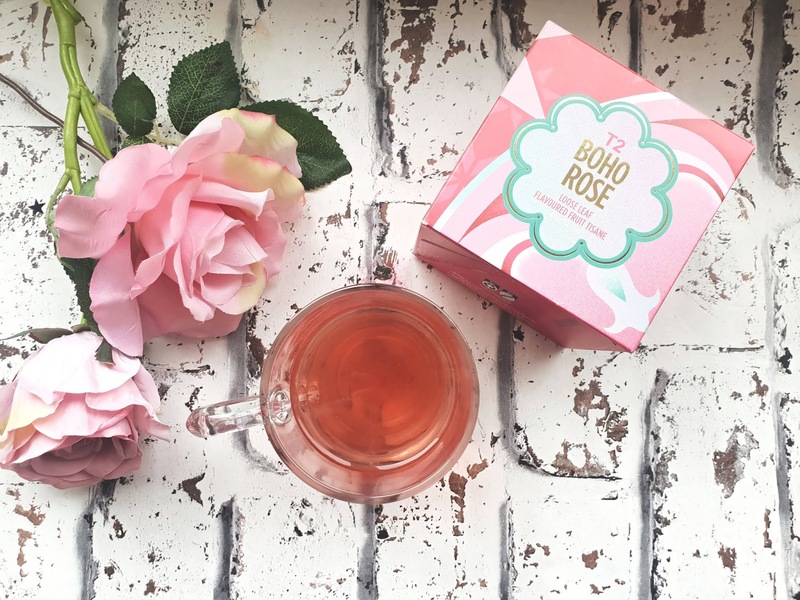 This sounds interesting I've not had a rose tea before. ooh this tea sounds so good! I do like tea but I'm not a huge tea drinker. I don't explore different teas as much as I should and now this makes me want to try more teas! Love tea (and coffee)! I've been brewing loose tea for a few years now. Never heard of this brand, so will definitely have to check it out!! I love the color of the tea. So lovely! I am a big fan of tea for both the taste and the health benefits. Yum! I love the color. It looks refreshing. I bet it really does smell good, I can imagine. This sounds like a lovely product indeed. I do enjoy a loose tea so its one to watch for.